Ever since Game of Love hit our Star life screens, there has been a high voltage drama keeping viewers tuned and addicted to the serial. Now, another interesting mystery is about to happen as we shall witness new entries heating up the show. IS MAHI RELATED TO THE OBEROI FAMILY? As per the storyline, Mahi was said to be Kamini’s son. However, this is not true. In fact, Kamini kept Mahi in the dark all these years. Mahi turns out to be Pinky & Shakti’s biological son and Shivaay’s twin brother. Kamini stole Mahi from his mother(Pinky) and his family at birth just to take revenge. She wanted to marry Shakti and be a part of the Oberoi family wealth but Pinky was the barrier in her mission. Due to this, she distanced poor Mahi from his real family. Mahi doesn’t know his true identity yet, but he undergoes humiliation from the neighborhood as they call him an illegitimate child. Despite the insults, Mahi considers Kamini to be his mother and obeys her commands. This time, Kamini sends Mahi to the Oberoi mansion as a secret weapon to fulfill her vengeance. Shivaay goes missing suddenly and Mahi sees this as an opportunity to make his way into the house. 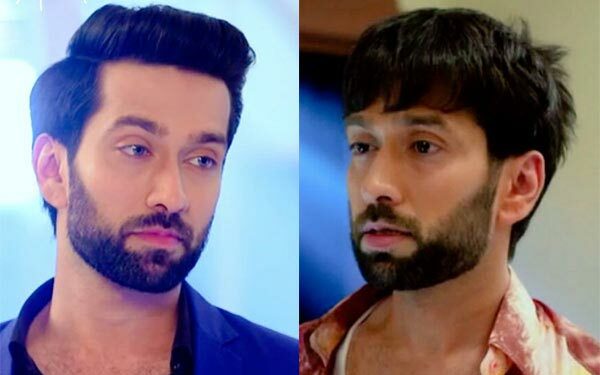 Anika realizes that the Shivaay staying in the Oberoi house is an imposter so she traps him in some fake stories to bring out his real identity. Anika then follows Mahi to know the truth, but she is distracted by Ranveer. Anika and Rudra decides to abduct Mahi and torture him so as to find out his secret. It is seen that Shivaay was kidnapped by an unknown person. Shivaay gets freed from the kidnappers but he goes into the hiding when he sees his lookalike(Mahi) in the house. Shivaay then goes undercover to unravel Mahi’s motives. Anika also supports Shivaay and they both plan a holi party to get to the root of the matter. During the party, Rudra adds cannabis to the drinks. Mahi gets drunk and Kamini fears that he might expose what they have been hiding. Shivaay & Anika follows Mahi to the room and manage to trick him. Finally, Mahi confesses the truth to them and also reveals that he was sent by Kamini to avenge them. 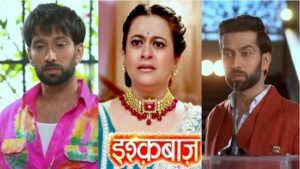 Shivika decide to teach Kamini a lesson and trace Mahi’s background. 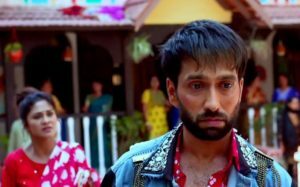 They find out that he is a lost son of the Oberois and Shivaay’s twin brother. It also turns out that Shivaay’s kidnapper is none other than Ranveer. Upon knowing this, will Priyanka’s wedding with Ranveer be called off? What a chain of intense drama and suspense to unfold on Game Of Love! Read on January Teasers to find out.